26 Aug 2017 Washington, D.C.
During an appearance on Breitbart News Saturday on SiriusXM Patriot Channel 125, Gorka—a former Breitbart News national security editor who served in the White House in a senior position pushing the president’s message—compared former White House chief strategist Stephen K. Bannon leaving the White House to when Darth Vader struck down Obi Wan Kenobi in Star Wars. 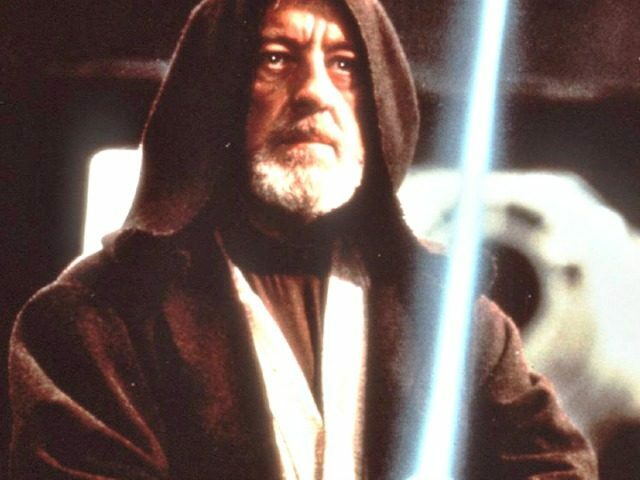 Of course, Star Wars fans know that Kenobi had perfected a power that few Jedi wielded: the ability to, post-death, become “one with the Force.” The almost omniscient abilities allowed him to continue mentoring Luke Skywalker, who would go on to defeat the Evil Empire. The “West Wing Democrats,” as they are colloquially known, include people like the president’s son-in-law Jared Kushner, his wife the president’s daughter Ivanka Trump, National Security Adviser three-star Army Gen. H.R. McMaster, National Economic Council director Gary Cohn, new White House chief of staff retired Marine Gen. John Kelly, and Deputy National Security Adviser Dina Habib Powell. Powell served with Cohn in a senior position at Goldman Sachs before going to work in the White House. All of them are Democrats, though Powell claims to be a Republican given her short time working in George W. Bush’s White House. Each of them are engaged, as Breitbart News and virtually everyone else has detailed, in a deep effort to stop the president from implementing the agenda he campaigned on in 2016. They view their roles as forces of moderation, trying to stop President Trump from doing what he promised for the American people in his landslide electoral college victory in 2016 over Democrat Hillary Rodham Clinton. And they align with forces in the “opposition party” media—or as has Gorka has defined it previously, the “Fake News Industrial Complex”—as well as throughout the political class in Washington to achieve their objective. Leaks about their self-righteous opposition to Trump ideas, actions, and policies—like his response to Charlottesville, or his Sheriff Joe Arpaio pardon, or the way he has handled various crises—are all about using their influence to slow him down. They also work with people like House Speaker Paul Ryan—a demonstrably anti-Trump force in Congress—as well as Senate Majority Leader Mitch McConnell, and others, to hold the president back. Essentially, what each of these folks is doing is using their positions of power to protect the status quo in Washington–and that status quo is what Trump ran against in 2016. The status quo is globalization, a draining of America’s middle class, unbridled migration from the third world into the United States, and an ongoing depletion of America’s middle class separating the haves and have nots even more by hollowing out the distance between financial elites like Cohn and the rest of the country. The rich want to get richer, and screw over everyone else. Regrettably, outside of yourself, the individuals who most embodied and represented the policies that will ‘Make America Great Again,’ have been internally countered, systematically removed, or undermined in recent months. This was made patently obvious as I read the text of your speech on Afghanistan this week. The fact that those who drafted and approved the speech removed any mention of Radical Islam or radical Islamic terrorism proves that a crucial element of your presidential campaign has been lost. Just as worrying, when discussing our future actions in the region, the speech listed operational objectives without ever defining the strategic victory conditions we are fighting for. This omission should seriously disturb any national security professional, and any American who is unsatisfied with the last 16 years of disastrous policy decisions which have led to thousands of Americans killed and trillions of taxpayer dollars spent in ways that have not brought security or victory. Gorka also hinted at it in his Breitbart News Saturday interview.